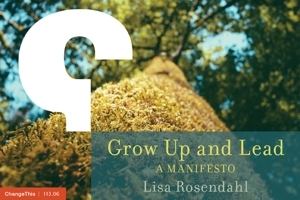 Lisa Rosendahl — Wouldn't This Be So Cool? Wouldn't This Be So Cool? I opened my e-mail a few minutes ago and saw a message from a fellow HR blogger we all know and admire. He is gathering 2009 predictions from the blogosphere for HR, recruiting, blogging, technology, etc. HR professionals reaching out to HR students via blogs etc to provide valuable industry insight and learnings. Wouldn't this be so cool? Does anybody say "cool" anymore? Am I showing my age? Ah, who cares. PS. If you have any predictions you'd like to share, you can send them to Lance Haun, Your HR Guy, at lancehaun.gmail.com.